Since 1982, residents and businesses in Lawrenceville, GA, have depended on moving and storage services from the area’s premier moving company – Bulldog Movers. Our professional movers and the outstanding staff that runs our 40,000-square-foot storage facility have helped to earn our company a ProMover designation from the American Moving and Storage Association. We also have the distinction of being the only Atlanta Metro area mover to have earned the Consumers’ Choice Award for nine years in a row. We plan to continue this tradition of moving and storage expertise and complete customer satisfaction, so you can count on nothing less than worry-free and competitively priced services when you choose us as your movers in Lawrenceville. Full-service movers with extensive training in the proper packing and loading techniques for all types of household and office to ensure their safe local, interstate, and international delivery. Professional warehousing personnel with the skill and materials handling resources needed to provide the required level of care to even the most sensitive or fragile items. Moving trucks with larger dimensions than the standard trucks at other area moving companies, which often mean fewer trips. Reasonable and upfront moving and storage estimates that always reflect the proper amount of labor, trucks, moving supplies, and equipment for efficient services. 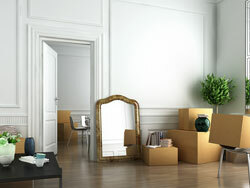 To learn more about our moving and storage services in Lawrenceville, GA, contact Bulldog Movers today.